Home » Heart Health » Do the Benefits of Exercise Really Extend to This Too? Do the Benefits of Exercise Really Extend to This Too? For years, people have said that exercising is a vital part of a healthier lifestyle. The associations between the development of vascular disease and heart attack or stroke has also been strongly made. Of course, there is a large amount of evidence indicating that exercise can decrease the risk of developing heart disease. Did you also know that the benefits of exercise can also help with stroke prevention? A new study published on July 18th in the journal Stroke investigated the link between physical activity and the development of stroke. The Reasons for Geographic and Racial Differences in Stroke study looked at 30,239 U.S. citizens over 45 with an emphasis placed upon African Americans and residents of the southeastern U.S., where stroke incidence is comparatively higher. The study participants were asked how many times per week they participated in physical activity intense enough to cause them to sweat. Based upon their answers they were placed into three separate groups: no exercise; exercise one to three sessions per week; and four or more sessions per week. The participants were followed for an average of 5.7 years and the development of stroke or stroke episodes were verified with medical records. The results of this study indicated that an entire one third of the study participants were in the no exercise group! This group of inactive participants had a 20% increased risk of stroke compared to those who exercised four or more sessions per week. The participants who exercised one to three sessions per week were shown to have a 16% increased risk of stroke compared to people who exercised more frequently. “The point here is that you should be exercising four times a week at least and doing it hard enough so that you’re getting a bit of a sweat,” said lead author Michelle N. McDonnell. The researchers found that the benefits of exercise on stroke risk and stroke prevention were dose-dependent, meaning that the more exercise sessions completed per week, the more it impacted stroke prevention. 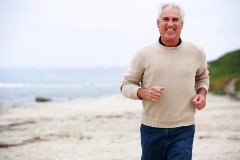 The researchers found that the benefits of exercise for stroke prevention are significant. When researchers controlled for variables associated directly with stroke risk, they found that the risk of developing stroke in those who were the most inactive decreased by 30%. What this tells us is that the effects that regular and brisk physical activity has upon blood sugar, diabetes, insulin levels, blood pressure, and body weight accounts for the differences in exercise groups! This relationship was also shown in the characteristics of the study participants. Those who were the most active were more likely to be fitter, have a lower BMI, and blood pressure. However, the same associations could not be found in the female participants. Although they did enjoy some risk reduction associated with physical activity, it was insignificant compared to the male subjects. It is thought that more of the female participants were placed in the non-exercise group because their activities were not associated with sweating so the effects of the moderate degree of activity would not be represented. This study, although important, did not really describe the type of exercise, duration, or the exact number of sessions performed. However, what it did show was that some activity is better than none and more frequent participation in an exercise program can lower the risk of developing stroke in a high risk population. The study showed that the benefits of exercise can affect many areas of your life, including stroke prevention. What is also indicated is that some exercise guidelines may be antiquated and need revision. In my opinion, for stroke prevention, reap the benefits of exercise by exercising (moderate to intensely) at least 45 minutes per day. Anderson, P., “Regularly Breaking a Sweat May Protect Against Stroke,” Medscape web site, July 19, 2013; http://www.medscape.com/viewarticle/808141, last accessed July 30, 2013. McDonnell, M., et al., “Physical Activity Frequency and Risk of Incident Stroke in a National US Study of Blacks and Whites,” Stroke. Published online, July 18, 2013.